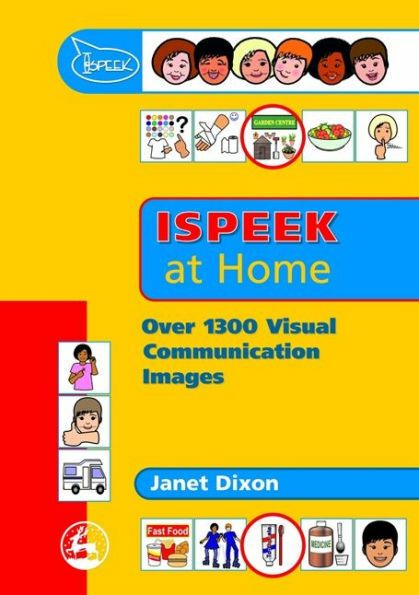 The collection of 1300 picture symbols in ISPEEK at Home provides an easy-to-use and enjoyable tool for overcoming communication difficulties in children with autistic spectrum disorders. The CD-ROM contains symbols for a wide range of situations typically encountered in the home and beyond, from feelings and facial expressions - common problem areas for people with autism - to health and hygiene and holidays. It also provides useful word templates to inspire parents and carers in putting together daily schedules, as well as PDF samples to assist them in setting up visual aids for children with autism, helping them to interact better with their home environment. These bright, contemporary and culturally various symbols will be a welcome communication aid for parents, carers and other professionals working with people on the autism spectrum at home.